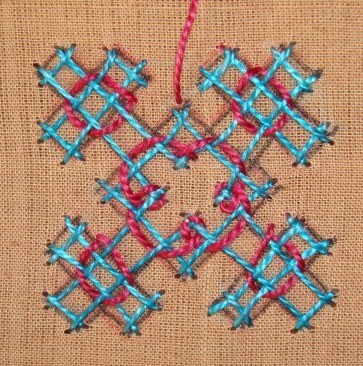 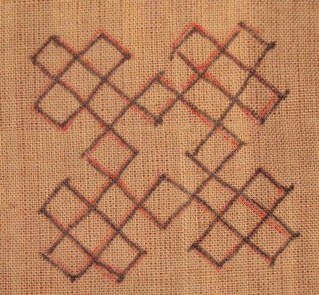 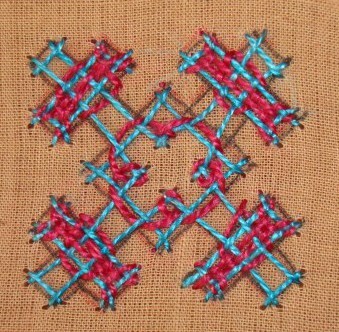 This is another simple motif in woven kutchwork. 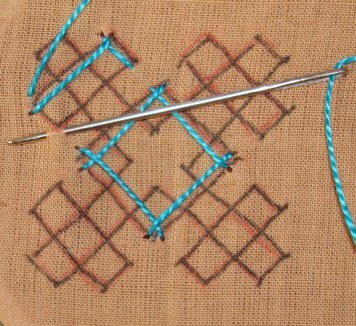 the basic stitches are done in three steps. 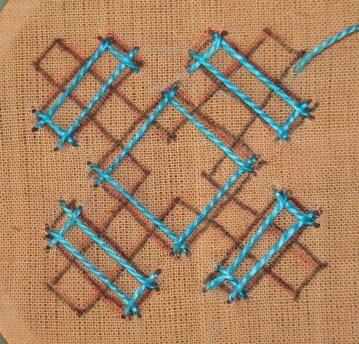 Step-2- the basic stitches on the four diagonal bands. 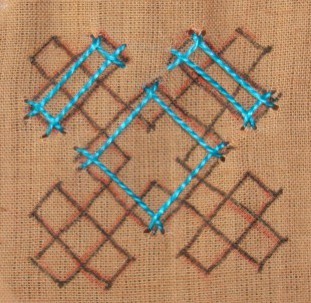 starting with the first band. 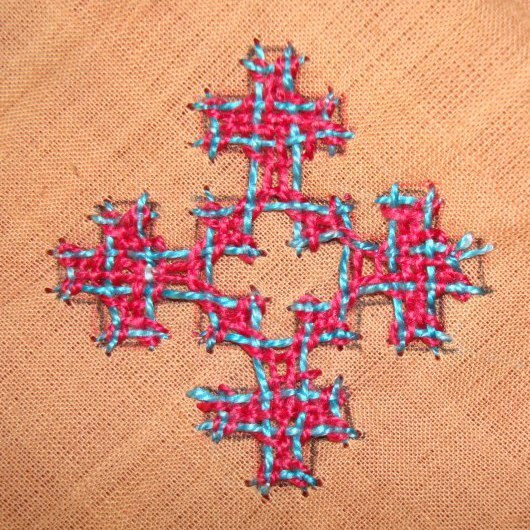 Basic stitches on Two diagonal bands completed. 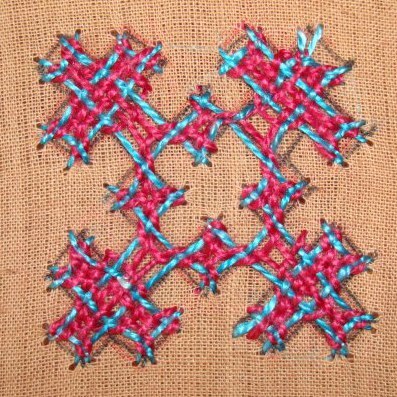 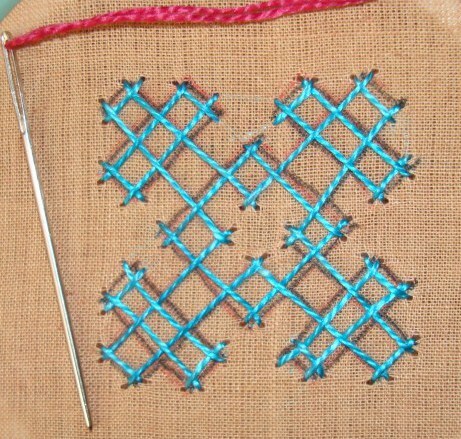 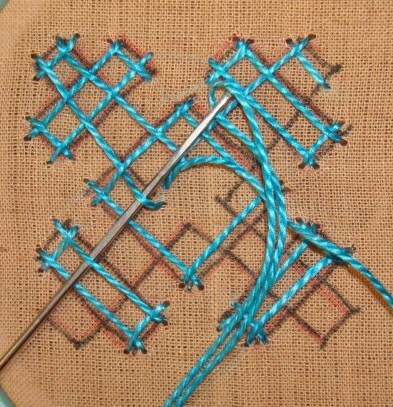 Step3- the basic stitches are worked , which will cover the whole motif in this last step. 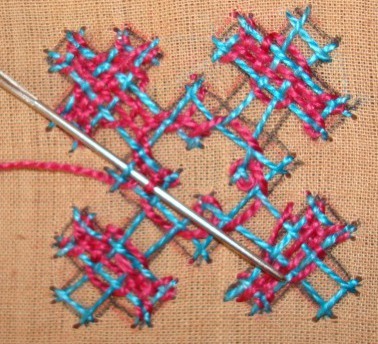 Work in progress on the third step, notice the up and down movement of the thread. 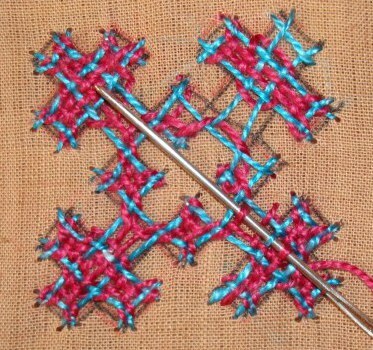 The weaving is worked in pink thread. 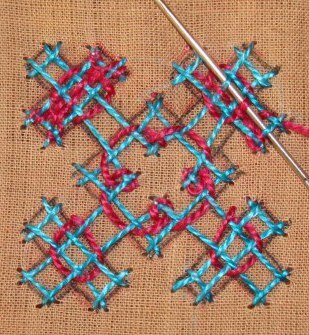 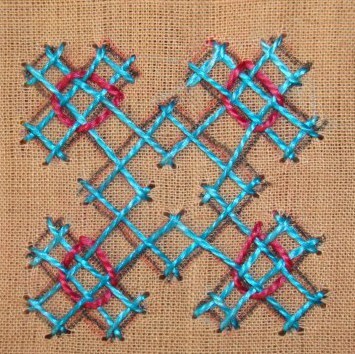 The weaving and interlacing in this motif is done in four stages. 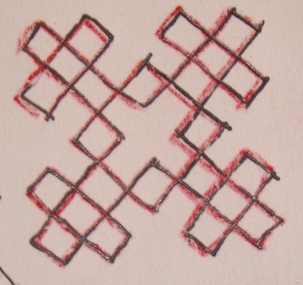 There is no particular order, they can be worked in any manner. 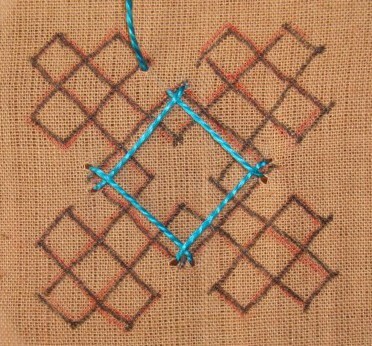 The fourth line is completed in all places. 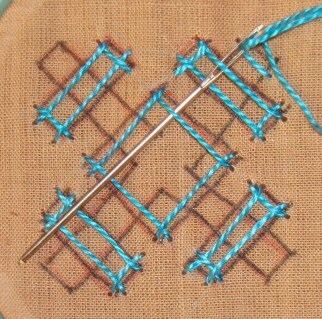 Weaving on the bands on four sides, one band is completed , weaving in progress on the second band. 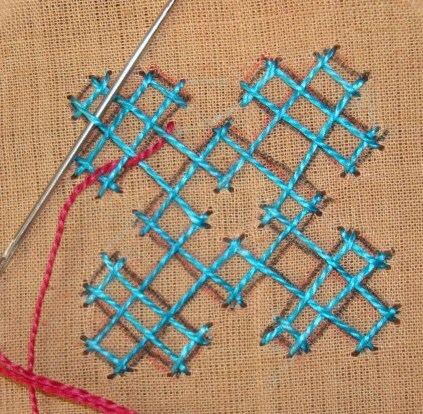 The last step of working on the basic stitches, to form the rest of the interlocked squares . 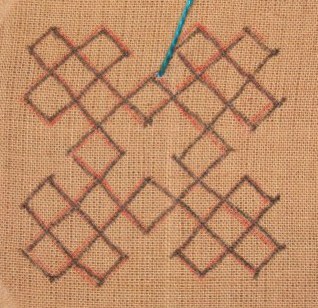 Hope these steps are useful for those who are interested in the working of woven kutchwork. 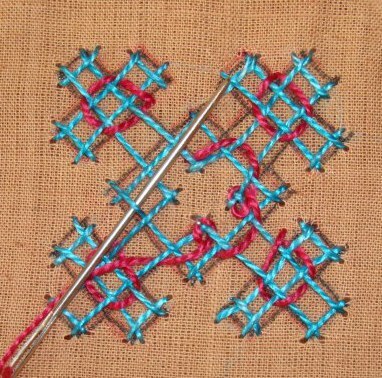 very lovely designs,i cant find the time to workout 1 wit kids around but i find some relief looking at your fabulous work.